Give a traditional touch and luxurious look to your home by placing this gorgeous carpet which contains Kashan design pattern. Kashan design is originated from Persia in 17th century. 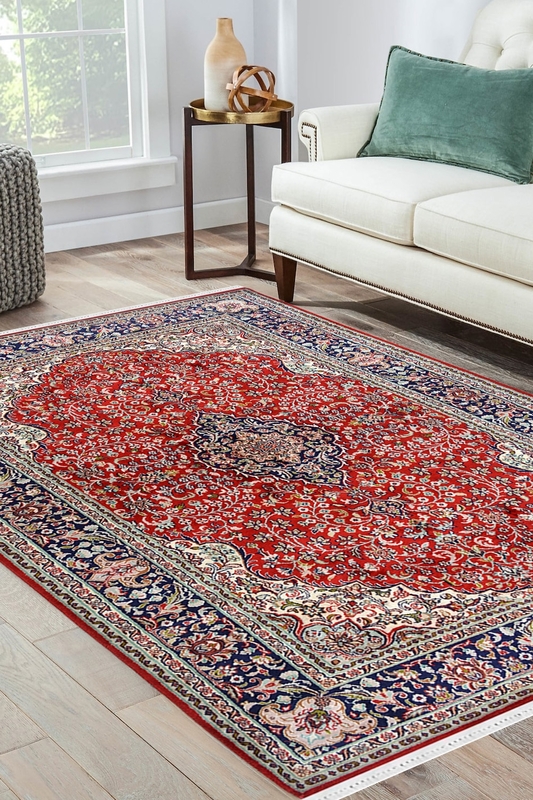 Made of pure silk, this carpet is highly durable and contains an attractive pattern that is to fetch your compliments. Pick this and give an elegant look to your home decor. It has taken around 5 to 6 months to weave. The base is in pure silk and top is in cotton. Number of Knots in this rug is 324 knots per square inch.